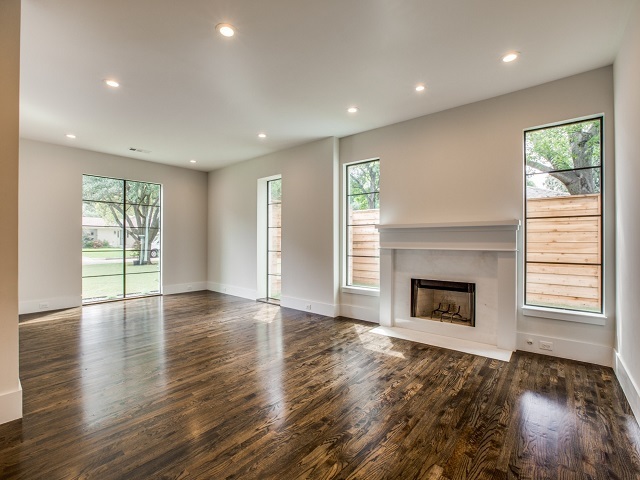 From the first look, the modern façade at 10243 Best Drive near Midway Road and Walnut Hill Lane is bright and open, with a face of windows that let in natural light. 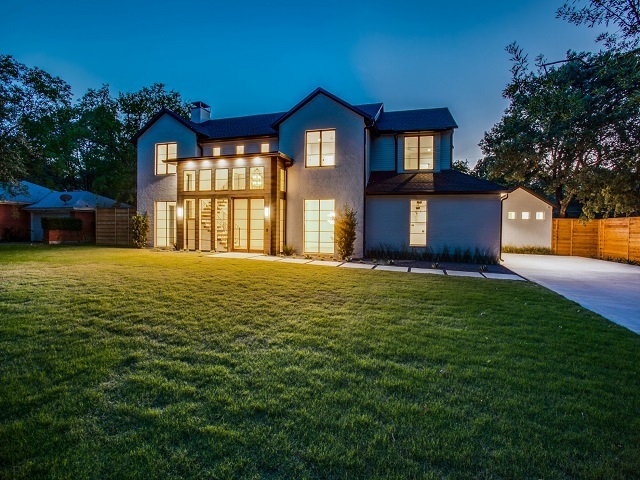 This five-bedroom, five-and-half bath northwest Dallas home is listed by Phil Hobson of Berkshire Hathaway for $1,795,000. The cool white brick with slate gray highlights give this 5,712-square-foot home sharp lines and a modern feel — something of a signature look for Dallas home builder Nest Builds. OPEN HOUSE | Takes place from 1-4 p.m., Dec. 9. Visit 10243Best.com for more information. 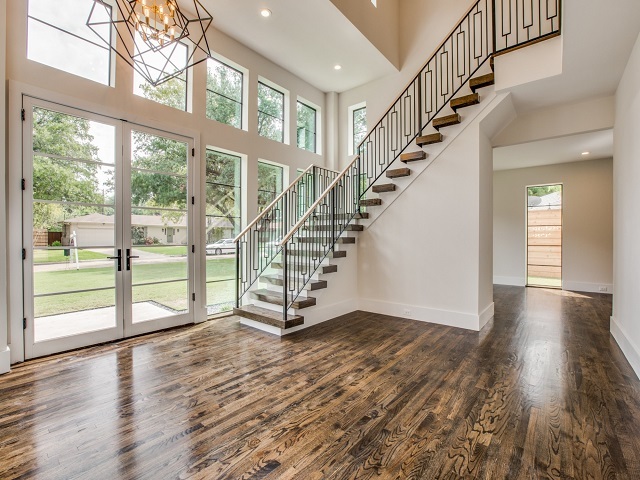 On entry, floor-to-ceiling windows illuminate the large foyer, which features dark hardwood floors and a unique, geometric banister in the front stairway. The foyer greets visitors into a central hub, which flows from the formal dining room, breakfast area, family room, and formal living area.